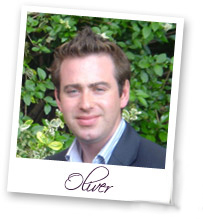 Oliver Nohl-Oser is a Cumbrian, born and brought up in the Eden Valley. This country background has instilled in him a vital interest in rural affairs and country issues - vital to the safe keeping of our land and the animals that graze it. He studied Countryside Management and Rural Studies at Newcastle University. He is passionate about top quality food and its provenance and as Cumbrian food was not widely recognised throughout the UK so in 2006 decided to do something about it. He wanted to create an opportunity to offer what Cumbria is so blessed with to a wider audience and set up the two interlinked companies - The Cumbrian Sausage Company and James Alexander Fine Foods aimed at selling Cumbrian foods direct on the internet. I would love to hear your comments about our range of products - and if you wish to recommend any we would be more than happy to take a look. "A pair of entreprenurial friends has set up a business bringing local Cumbrian food to London. After moving to the capital from Cumbria, Oliver Nohl-Oser and Thomas Sowler missed their regional delicacies so much they set up distribution company 'The Cumbrian Sausage' giving small-scale producers the chance to sell to the capital's delis." "Two university friends have set up a company to provide top people's stores in London with classy food from Cumbria. They are planning to supply the county's finest foods to Harrods, Fortnum & Mason and Harvey Nichols, as well as smaller smart shops. The scheme is the brainchild of 23-year-olds Thomas Sowler and Oliver Nohl-Oser who met at Newcastle University.